Researchers zero in on the radiative feedback processes that continue to drive warming in the Arctic. Recent research sheds light on the contributions of different feedbacks, such as surface reflectivity and water vapor, to Arctic warming and amplification. Enlarge Image. When there is a shift in the Earth's energy balance, the air temperature changes. This prompts further atmospheric processes that either amplify or dampen the climate response—referred to as positive and negative feedbacks, respectively. Some feedbacks have been reported to contribute to a rapidly warming Arctic, but their relative importance remains uncertain. Scientists at the U.S. Department of Energy's Pacific Northwest National Laboratory led a systematic analysis of Arctic feedbacks based on observed short-term climate variations. Their analysis showed the relative contributions of different feedbacks to Arctic warming and amplification—a phenomenon in which the Arctic has warmed more than twice as fast as the global average temperature. This study is the first to systematically quantify and compare individual radiative feedbacks over the Arctic based on various reanalysis and satellite data sets. Researchers identified the top contributors to Arctic amplification, as well as sources of uncertainty in feedback estimates. 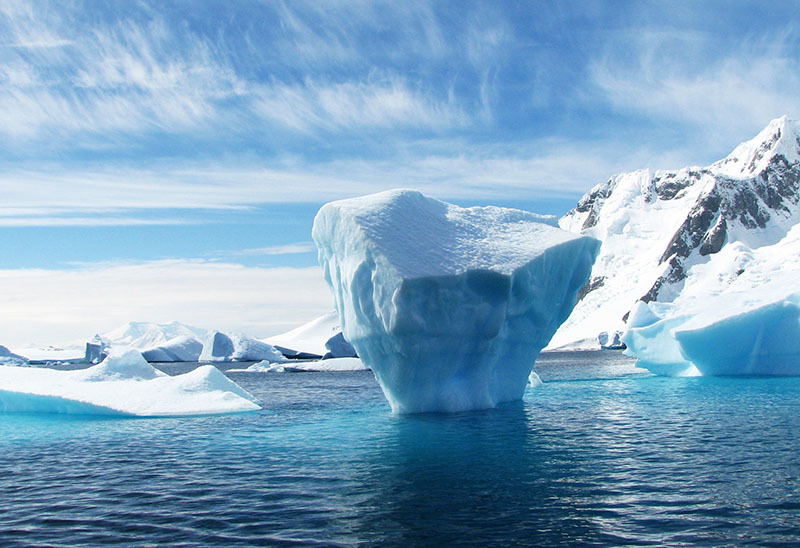 Arctic amplification of warming has been found in observed and modeled climate changes. Previous studies showed that several feedback mechanisms contribute to Arctic amplification. There are, however, uncertainties and disagreement about the role of different feedbacks. Ideally, the magnitude of feedbacks would be estimated from long-term data covering decades or even centuries, but these records do not exist. Researchers used a variety of reanalysis and satellite data sets to quantify the Arctic local feedbacks based on short-term (15-35 years) climate variations. The main feedbacks studied included surface reflectivity, or albedo; the rate at which atmospheric temperature changes with height, known as temperature lapse rate; water vapor; and clouds. Scientists evaluated the feedbacks simulated in a global climate model, diagnosed the effect of data set choices on the feedback estimates, and identified the source of the largest uncertainties in feedback estimation. The data sets agreed that temperature lapse rate feedback was the largest contributor to Arctic amplification, followed by surface albedo feedback. They also agreed that water vapor feedback contributed positively to Arctic warming but had a negative contribution to Arctic amplification because the warming associated with water vapor feedback was not as fast as the global mean. The analyses showed that cloud feedback had the largest uncertainty, including its sign (positive or negative), which strongly depended on the data set used, the time period considered, and the method used to estimate the feedback. Because simulating Arctic clouds remains one of the biggest challenges in Earth system models, more research and data are needed to improve the representation of clouds in order to better understand Arctic warming and amplification. Sponsors: This study was supported by the U.S. Department of Energy Office of Science, Biological and Environmental Research as part of the Regional and Global Climate Modeling program, and by the National Science Foundation of China (NSFC) (41605041), Jiangsu Provincial Science Fund (BK20160621), Fundamental Research Funds for the Central Universities (020714380020), Jiangsu Provincial 2011 program (Collaborative Innovation Center of Climate Change), and International Postdoctoral Exchange Fellowship (20160046). Model simulations were performed using PNNL Institutional Computing resources.